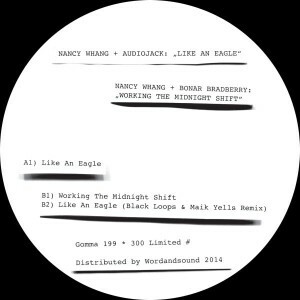 Now on Gomma: The solo project of Nancy Whang of LCD Soundsystem. After years as vocalist and keyboarder in James Murphy’s superband finally Nancy comes up with an own project: 4 cover versions of big songs from the 70ies. Produced by some big names of today’s electronic scene: Audiojack, Etienne de Crecy, Bonar Bradberry, Drop Out Orchestra and The Revenge. 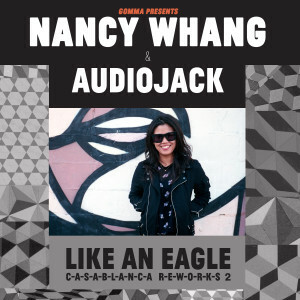 The first single is a rework of Dennis Parker’s Like An Eagle. Audiojack transformed the Disco classic into a melancholic, space techno odyssey. The remix by Toy Tonics acts Black Loops is also a bomb!